Yay!!! That is awesome!!!! 🙂 What a thrill!! Awww, thanks so much, Burni! Enjoy! What a neat experience! Have a wonderful time at your book signing! And a thrill to see “author” in bright lights. Maya is here with me & ready to be read – I just have to finish reading my current novel & then I will dive in – I have never been one of those people who can read several novels at once. 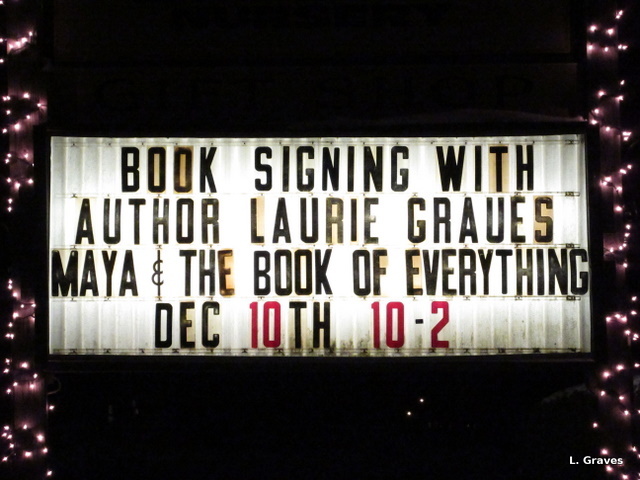 Congratulations & have a wonderful book signing, Laurie! – enjoy it! Thanks so much, Jodie. And I’m the same way—one book at a time.